There are many factors that contribute to the heat pumps efficiency, the efficiency rating and ductwork can play a huge role in the saving you can make on your energy bills. Nothing can tick you off as much as paying good money for the best heating and cooling equipment only to learn that your heat pump efficiency is way off. What Is A High Efficiency Heat Pump? First thing we need to understand is how heat pump efficiency is actually measured. In the US the SEER or HSPF Ratings are used. SEER stands for Seasonal Energy Efficiency Ratio. 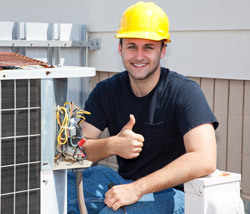 It’s a set of test results that describes how well an air conditioning unit works. The higher the SEER is, the better the heat pump efficiency and usually the lower your energy bills will be. HSPF stands for Heating Seasonal Performance Factor. It’s a calculation that is used to describe how well a heat pump works in colder weather. Like the SEER the higher the HSPF the better off you will be in the long run. 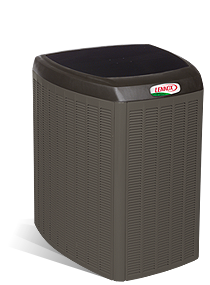 A qualified high efficiency heat pump is normally any electric air-source unit that has a higher SEER and HSPF rating than what is commonly sold in standard models. A higher rating can make them as much as 90-10% more efficient than ordinary models. What Affects A Heat Pump’s Efficiency? Seasonal Energy Efficiency Ratios (SEER) and Heating Seasonal Performance Factors (HSPF) are determined by when manufacturers ship off sample models to a testing lab for certification or qualification. All test models have already been gone over for both major and minor defects. Naturally manufacturers make sure only the best of the best are sent out for inspection. But in the real world, every heat pump installation is done as a one off, custom order on the jobsite. So no matter who make what, each pump is connected up differently at each household. So it’s understandable why a model that performed well under controlled lab conditions may be adversely affected by actual real world setups. This is why studies have shown, time and time again that the issues with most heat pump efficiency problems has more to do with the contractor who installed the unit than the equipment itself. One of the many things that can affect your heat pump’s efficiency is the weather. 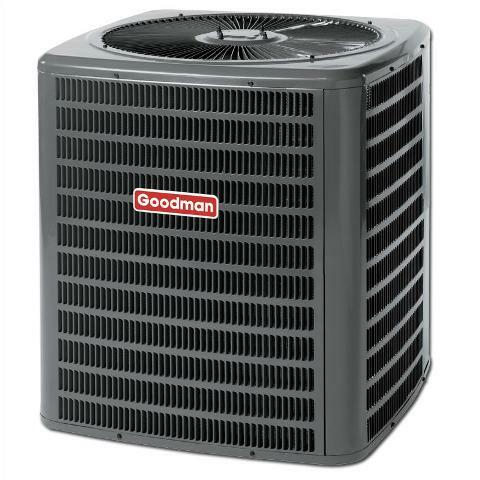 Even the best units with a top of the line heat pump efficiency rating can be overwhelmed if they are installed in an extremely harsh or cold climate. No one can control Mother Nature and most heat pumps will not perform effectively in temperatures that settle below 20oF. A poorly designed ductwork layout that causes airflow to be restricted; blocked intake or output grilles, or undersized air handlers or blower motors. And of course that is the well known issue of extremely dirty or clogged air filters. 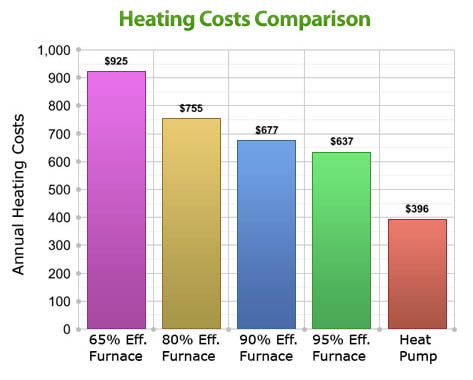 Buying a heating unit that fits your budget as well has one that has a solid heat pump efficiency rating and having it properly installed is your best bet to prevent future problems and save yourself a bunch of money in the long run. Heat pumps are greatly appreciated for many benefits: among such benefits are heat pump efficiency factors. 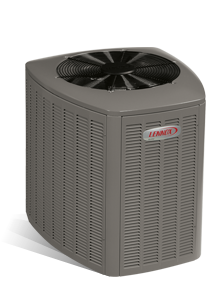 High efficiency heat pumps utilize special, integrated ventilation systems to draw heat from the ambient air surrounding the heat pump device. Since considerably less electricity is used in high efficiency heat pumps, pool owners spend far less on their electric bills each year heating their pools. Part of the heat pumps efficiency equation has much to do with the ventilation system and the way the device heats up pool water. A pool owner will find that for each 1 kilowatt hour that an in ground heat pump is used, that the device is capable of generating five times the amount of energy for water heating potential. Electricity which is used to operate the in ground heat pump is only used for making the fan, ventilation, and compressor operable; the waters are then naturally heated and pushed into the pool after passing over a heat exchanger. 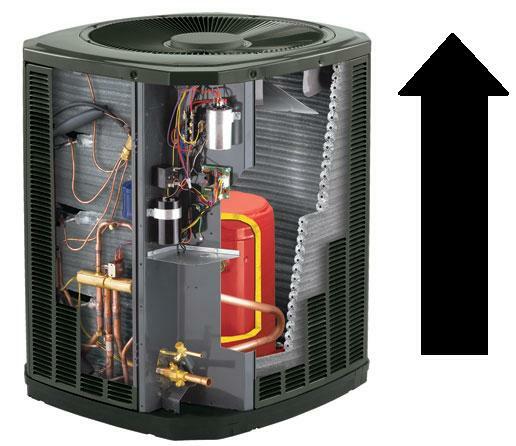 Efficient heat pumps can save you a significant amount of money. For example, when it comes to heating a pool with an in ground pump, the device will cost half as much as it would to heat the pool using heaters which rely on natural gas to heat the waters. Further, if heating a pool with an in ground heat pump relying on ventilation, compressors, and Freon, the pool owner spends only a third of what it would cost to use a pump which relies on propane or oil. Finally, in ground heat pumps relying on ambient air and unique heating processes cost one fifth of what it costs to operate traditional, electrically reliant pool pumps. In order to gain significant heat pump efficiency factors, you will want to get the appropriate size pump for your pool as well. If the pool pump is undersized, the pump will demand too much energy to keep a pool heated. In fact, a pool pump can continuously run and not adequately heat up water if the pump is smaller than required. Experts recommend that the pool owner get a pump that is a bit larger than necessary so that the pool not only heats up more quickly, but with more efficiency. Heat pumps come in a variety of sizes; the larger the area of the pool’s surface, the larger the heat pump will need to be from maximum heat pump efficiency. Pool owners must also consider that in ground pumps will operate with more efficiency if and when the ambient air temperatures are between 45 degrees Fahrenheit and 50 degrees Fahrenheit. If the ambient air is considerably cooler, the in ground pump will need to work harder to heat the pool and will therefore demand more energy use. Usually, when weather is superlatively mild during the late spring, summer, and early autumn, this is not often an issue. There can be some variances from year to year in energy usage from year to year however; a factor for the pool owner to keep in mind. Next Article Is the Heat Pump Split System Right for You?